The persona is a powerful tool for marketers when it’s backed up with data and focused on actions to be taken. Follow these steps to create robust, useful personas for your business. Most businesses will already have segmented their customer base into broad groups. Use these as the starting point for your personas, as each one will reflect the people you’re basing the personas on. For each of your segments, identify a group of customers you can work with, either by sending them surveys or interviewing them directly. Refer to your CRM system to make sure you get a broad range of target audiences. A research panel is the cohort of people you will approach, and you should set one up for each of your segments. Bear in mind that your panel should represent a good cross-section of customers across different demographics, budgets, frequency of transactions and business size, so you get a really rounded picture in your results. Use 5 key categories as a framework for your survey. For each one, include plenty of questions and cover both factual items, such as a choice between two product features, and drivers, covering the customer’s motivations, values and goals. For each section of your survey, use open questions and free text fields to gather qualitative information in the customer’s own words. Send the survey out to your panel, along with a reminder about any rewards you’re offering. You may also want to set up a system of completion-reminder messages to help you get as many responses as possible. Working within your segments, review your data to establish where there are trends and correlations. It may be helpful to bring in data from elsewhere, such as your CRM system and sales figures, to strengthen your conclusions and test out different possibilities. 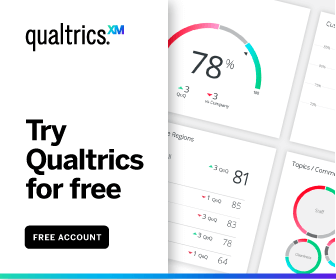 Tools like Qualtrics iQ, which uses predictive intelligence to recommend which data trends to explore, can help you uncover even more knowledge.